We continue our series to honor the veteran members of Branch #191, and will acquaint you (or reacquaint you), with Comrade Wes Everitt. Wes Everitt was born in the town Meadow Lake, Saskatchewan now a city approximately 100 miles north of North Battleford on 25 August 1942. He grew up on a farm near Leoville, Saskatchewan and attended a one-room school 1.5 miles from home. After school Wes was expected to carry out his chores which consisted of skinning and stretching muskrats from his father’s trap lines followed up by normal farming chores after dinner. Hydro, telephones and street lights were a couple of things that he was not to know until joining the military. Wes initially had a desire to join the RCMP, but could not meet the height and weight criteria required of that time. When he was seventeen Wes found himself signing up for the military and arrived in Currie Barracks in Calgary in February 1960 to attend basic training, graduating in August of that year. 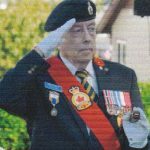 Shortly afterwards on his birthday Wes ended up having his appendix removed and shortly after returning back to garrison found himself posted to Fort McLeod, Deilinghofen, North Rhine Westphalia, Germany with 1st Battalion Queen’s Own Rifles of Canada from October 1960 to December 1963. While here Wes had the honour of attending Honour Guards at Canadian War Cemeteries in Holland, Belgium and France. Wes returned to Canada and ended up at CFB Esquimalt and in in March 1965 was off to Cyprus for a tour as a radio operator. In 1966 Wes decided to try a ‘career change’ and found himself up in Campbell River working as a plasterer’s helper. After a change of heart and realizing that he had neglected to submit any paperwork for this ‘career change’ Wes returned to find out this oversight would cost him another 21 days relocation and time to work on his self-discipline. Returning with a clearer view of his path ahead, Wes attacked all his training with new vigour and excelled in most courses he challenged. Wes was posted to CFB Cornwallis as an instructor and drill instructor at CF Recruit School. While there, Wes was promoted to Sergeant and recommended for commissioning from the ranks. While with 1st Battalion QOR, and 3rd Battalion PPCLI, Wes had undergone multiple postings, 3 UN tours and a myriad of training courses and exercises all over the world. 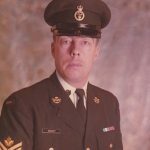 In 1981 Warrant Officer Wes Everitt was discharged medically from the Canadian Armed Forces due mainly to health concerns he incurred while undergoing experimental testing at CFB Suffield in 1968 during Ex Vacuum with 1st Battalion Queen’s Own Rifles and an injury to his ears from an accident. 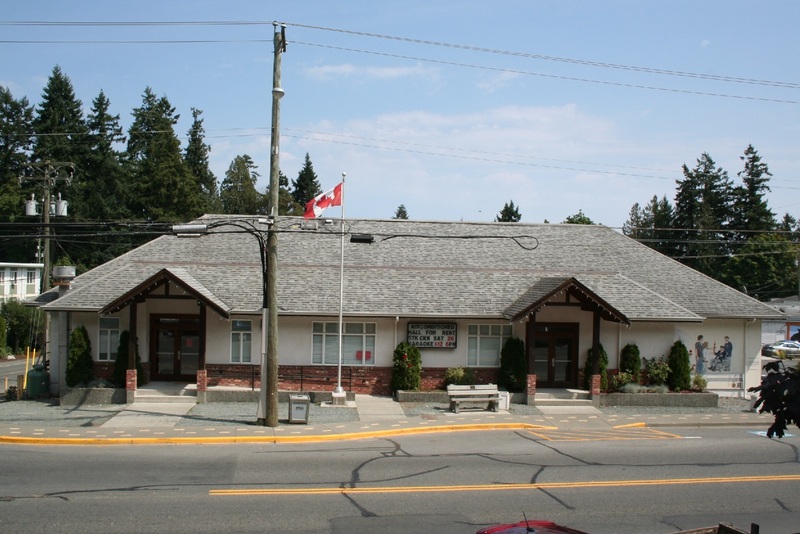 Wes not having completed high school before running off to join the military, completed high school on his own as an adult and continued on with his training focusing mostly on Psychology and Sociology at different institutions on various postings as well as Royal Roads Military College. This training helped Wes along the way as he worked for some time as a probationer’s sponsor working with a probation officer assisting with juveniles. He also assisted in running a drug and alcohol program for short term inmates at Wilkinson Road prison. Wes was married in 1967 to Leanne Everitt for 26 years until she passed away in 1992. Wes then met Hilary and they were married in November 93 and lived in Chemainus until Hilary’s passing in November 2011. Wes still lives in Chemainus and keeps close to his four children and grandchildren. Wes has over the years done it all, including owning his own furniture business, treasurer and deacon of a church, driving for the CNIB, treasurer and chair for a Cooperative in Victoria as well as a band member of an Irish band for 10 years. Wes still loves a variety of music and can always be seen either listening or playing one his many instruments. Wes remains very active in his community and is a strong volunteer with many organizations including the Legion, Rotary, Cultural Arts Society, Seniors Centre to name only a few. Wes has been very involved with our Legion Branch and has been a strong executive member for many years. There is rarely an occasion when a stranger comes into the Branch that Wes is not the first one up to introduce himself and make them feel welcome. Wes soldiers on to this day and can always be counted on to maintain the memory of all veteran’s especially in his role as Sergeant at Arms for the Legion, where he takes our Colour Party to various schools and institutions throughout the Poppy campaign leading up to Remembrance Day, in order to help keep the memory alive. Thanks Wes for the service you have done and continue to do, I for one am proud to know you. In Pace Paratus.